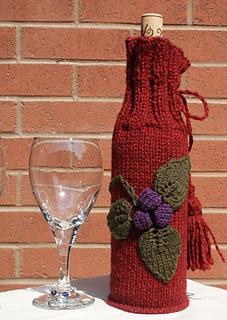 A decorative way to keep your wine at its optimum temperature at the dinner table. 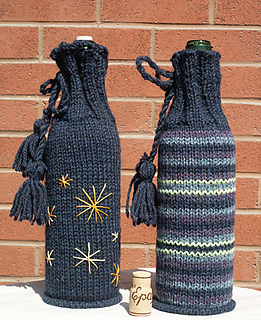 This wine bag has the advantage of a knit-in i-cord around the base to keep your bottle from tipping over. 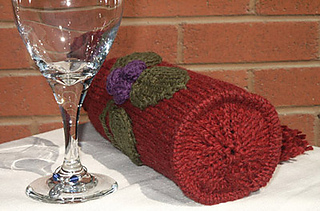 For directions to knit in the round please see the comments tab above.